Government and civil society organisations recognises that the pace of delivery of housing, water and sanitation, health care and education has been slow since South Africa’s transition to a democracy. The slow delivery on economic and social rights affects mostly women and children in South Africa. In a household it is often the woman who has to deal with the lack of health care facilities when she or her children are ill or with the poor education facilities when she has to enroll her children in school. Poverty affects many households in rural communities where household incomes are often insufficient to meet the daily needs of families. Most men from rural communities work in the urban areas and are usually absent when issues related to housing, healthcare and education have to be dealt with. It is therefore important to enable rural women to advocate for their own rights. 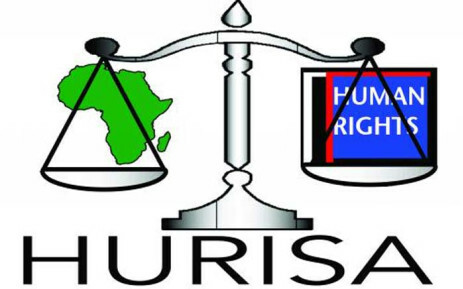 HURISA began conducting several training workshops on women’s rights in 1995. As a result of such training, HURISA recognised that amongst rural communities the denial of socio-economic rights affect women the most and that this needed to be addressed. A project for building capacity of rural women to advocate for the fulfilment, protection and respect of their own socio-economic rights and those of their communities developed out of this recognition. In 2003 and 2004 HURISA undertook a pilot project on economic and social rights for women in rural areas of Mpumalanga province. HURISA organises “train the trainer” workshops for representatives of community-based organisations that are working in rural communities yet lack the skills and knowledge in addressing economic and social rights issues that affect women. After the training, the trained community representatives are expected to train other women within their communities on economic and social rights. to establish direct contact between elected officials and their constituencies. This project entails two parts. The first phase consists of a training-of-trainers workshop where community trainers were given the knowledge on socio-economic rights and the skills to undertake training within the communities in which they work. The “train-the-trainers” workshop is held over two days. The second phase involves the training of women within communities by the community trainers with HURISA providing advice as well as material and financial support. Women are among the most vulnerable groups, particularly in the rural communities, but are also in a unique position to be instrumental in improving the socio-economic conditions for themselves and their communities. This workshop increases awareness and provides information on mechanisms for redress for slow and ineffective delivery of socio-economic rights.